Chat, share pics and videos with everyone or just a few, it's up to you. schedule a team dinner with parents. shared with anyone - ever. Never miss a practice, game or event. with iOS and Google calendar. 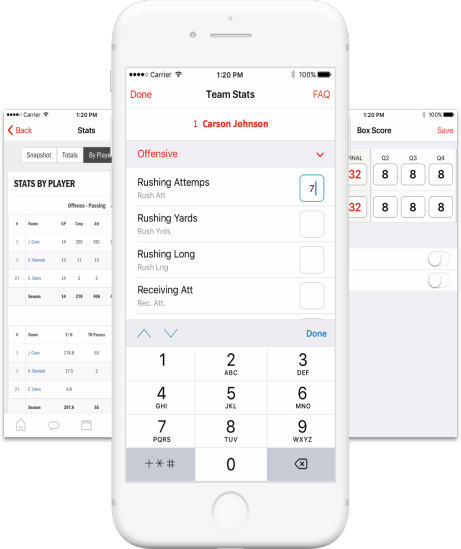 Get the details about your team's performances. your stats on the go.